Moto Z2 Force was launched in India on Thursday, at an event in New Delhi. 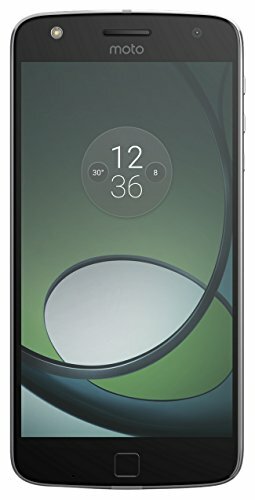 As with previous versions of the ‘Force’ smartphones from the Lenovo-owned Motorola brand, the Moto Z2 Force has a ‘shatterproof’ display, with Moto’s ShatterShield tech. The flagship Moto is powered by the top-end Qualcomm Snapdragon 835 SoC, and has been launched as a Limited Edition offering in India, bundled with a battery pack Moto Mod. The Moto Z2 Force price in India has been set at Rs. 34,999. At this price range, it competes with the OnePlus 5T, Xiaomi Mi Mix 2, and the Nokia 8 in India. It will be available exclusively via Flipkart, apart from Moto Hub stores, from 11:59pm IST on Thursday itself. The smartphone will be bundled with a TurboPower Pack Moto Mod, regularly priced at Rs. 5,999. The dual-SIM (Nano) Moto Z2 Force runs Android 8.0 Oreo sports a 5.5-inch QHD (1440×2560 pixels) POLED ShatterShield display. Motorola is providing a 4-year warranty against screen shattering and cracking with drops and falls. The smartphone also has water repellent nano-coating to protect from splashes. It is powered by a Qualcomm Snapdragon 835 SoC coupled with 6GB of RAM, and the Adreno 540 GPU. The smartphone bears a dual rear camera setup, with two 12-megapixel Sony IMX386 sensor coupled with 1 Bayer and 1 Clear lens of f/2.0 apertures – meant to provide depth of field effects. Other camera features on the Moto Z2 Force include Zero Shutter Lag, PDAF, Laser Autofocus, and a colour correlated temperature (CCT) dual-LED flash. The front camera on the Moto Z2 Force sports a 5-megapixel sensor, coupled with an f/2.2 aperture 85-degree wide-angle lens and a flash module. The smartphone has 64GB of inbuilt storage, expandable via microSD card (up to 2TB). Connectivity options include 4G VoLTE, dual-band (2.4GHz, 5GHz) Wi-Fi 802.11ac, Bluetooth v5.0. Sensors on board include an accelerometer, ambient light sensor, barometer, gyroscope, magnetometer, and a proximity sensor. A fingerprint sensor has been planted onto the home button on front. The Moto Z2 Force bears a 2730mAh battery, which is rated as a ‘all-day battery’, but as we mentioned, Motorola is bundling a Moto TurboPower Battery Pack Moto Mod with each purchase of the smartphone in India – featuring its own 3500mAh battery pack. The Moto Z2 Force also comes with a 15W TurboPower charger that is claimed to provide fast charging capable of providing up to 8 hours of battery life with 15 minutes of charge (from zero percent). It has dimensions of 155.8x76x6.1mm, and weighs 143 grams. Update: The Moto Z2 Force is now officially available in the US, and while there's no unlocked version, it's technically cheaper than when it was first announced.